Happy new year! We've got lots planned for you in 2013. Visit us at the Artists' Inaugural Ball on Jan 20th, check out new ways to be involved, and stay tuned for more soon! We need artists and volunteers to exhibit work and help run the event! If you're interested, sign up here! Ticket special: $50 for Artomatic fans! We're looking for new volunteers on the Artomatic Marketing Team! If you're interested in leading the marketing team, or want to help on specific aspects of marketing for Artomatic events, let us know. Get details and fill out our volunteer form. We'll be in touch soon! 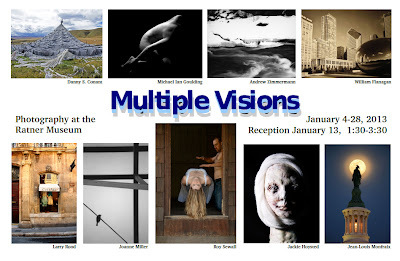 The Ratner Museum in Bethesda will be showing its new ‘Multiple Visions’ exhibit from Jan. 6 - 28. The museum, located at 10001 Old Georgetown Rd., is open from 10 a.m. to 4:30 p.m. Sundays and from noon until 4 p.m. Monday through Thursday. The exhibit, curated by Stella Bernstein, features works from D.C. area photographers Danny Conant, William Flanagan, Michael Ian Goulding, Jackie Hoysted, Jean-Louis Monfraix, Joanne Miller, Larry Rood, Roy Sewall, and Andrew Zimmermann. 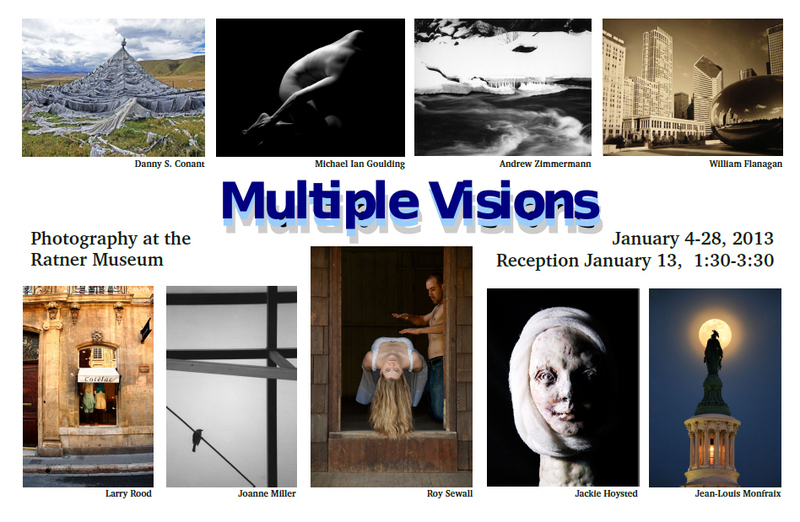 There will be an artists reception from 1:30-3:30 p.m. on Sunday Jan. 13.